Looking for an island getaway? I know I am, but I won't be going anytime soon. Knowing this, I plan to bring the island to me! How? With Pure Fiji products! If you're a fan of reality TV and you've been watching the Bachelorette TV show, you know that Ashley is Fiji with her final two guys. (This coming Monday is the finale, so don't miss it!) Last week's episode of her dates on the Fiji Islands had breathtaking scenery (not them, but the island). The gorgeous views of the beaches and how serene it looks is amazing. Who wouldn't want to be there? Pure Fiji bath & body products are made on the islands, and come in so many great scents. My favorites are always the fruit, citrus ones. 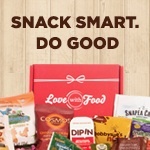 :) I got a sampling of their products and have to say I am impressed with the quality. They smell great and are very nourishing on my skin- I really feel like I'm at a spa relaxing on the Fiji Islands minus my masseuse. The DiloRescue Body Butter is great for the summer right now. If you have dry, irritable skin from a sunburn perhaps, then this soothing body cream made from dilo nut butter will help you through it. It will bring moisture back to your skin and calm it while it heals. This is great to bring with on all your beach trips this summer. Pure Fiji's moisturizing body butter is an alternative to use when you're skin is back to normal (see above DiloRescue's body butter usage). This everyday cream will help moisturize your skin and keep it looking smooth. The scent- white gingerlily- is a floral fragrance that I don't smell too often, so I like it a lot! This body mist in Mango smells absolutely delicious. Mango is one of my favorite fruits so I can't help but spray this every morning. Its small size is also perfect to carry in your purse so you can get a whiff of your new scent during the day. How-to: Reduce Stress and Look Younger! Influenster's Beauty Voxbox- More reviews! July BIRCHBOX: My first one! !